Take advantage of what we know. The Guide is in PDF format, and is available via download. 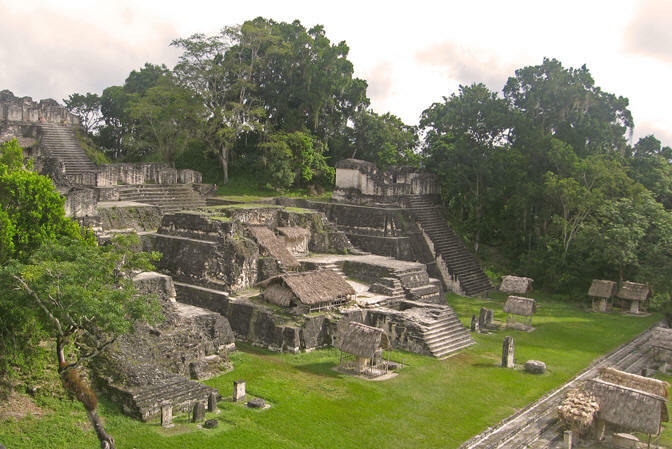 Kudos for writing another descriptive, informative and useful guide, this time for Guatemala! 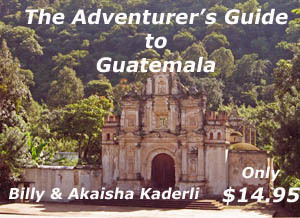 I used The Adventurer's Guide to Guatemala as my primary resource. I followed your recommendations on day trips in Antigua and was not disappointed. The cultural museum and the macadamia nut farm were especially interesting! 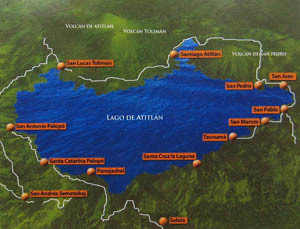 The information you provided on lake Atitlan was also helpful. What a beautiful place! 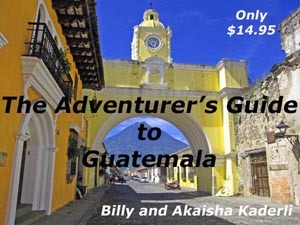 I heartily recommend your guide to anyone traveling to Guatemala. Your stories and thoughtful photos really inspire one to get out an explore. Keep up the great work! Guatemala has a colorful culture and a rich blend of peoples which reflect its history and struggle to become the country it is today. In this Guide we take you from the ancient Maya strongholds of Huehuetenango and Xela to one of the most beautiful tourist destinations in the world, Panajachel on the ancient volcanic Lake Atitlan. We show you colorful native markets, the old Colonial capital city of Antigua and give you a sneak peek into the Caribbean side of Guatemala like you have never seen before. Maya ruins, island cities, exploding volcanoes and the famous brilliantly unique Chicken Buses – it’s all here in this Guide to Guatemala. Hundreds of photos are included so you can have a personal glimpse into this amazing country! Save money, save hassle. Take advantage of what we know! Our book is both practical and inspiring. After each city you will find necessary information such as Hotels, available transport, grocery stores, restaurants and entertainment, information on medical clinics, hospitals, pharmacies, dentists, visa services, Spanish schools, banks, immigration offices, entry and exit locations to Guatemala that we used, plus useful notes, emergency numbers, prices we paid and the Pros and Cons of each place as we view them. We list links to business and medical offices, hotels and national parks with hours of operation, telephone numbers, prices, and addresses. Survival Spanish phrases are in the back of the book to get you started on your Central America journey. 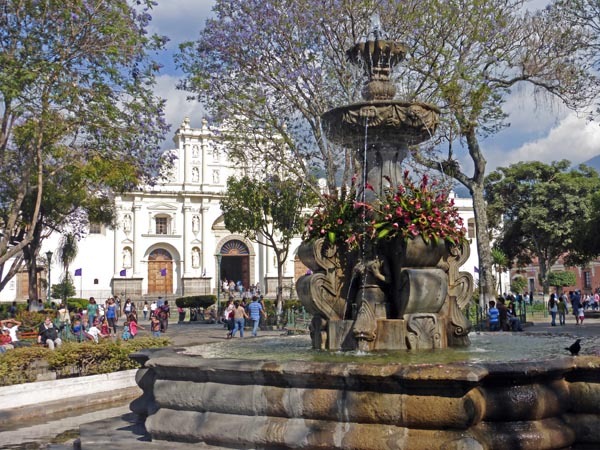 For those of you who are curious about medical care in this country, we share with you our first hand experiences of a hospital event in Guatemala City, complete with pricing. 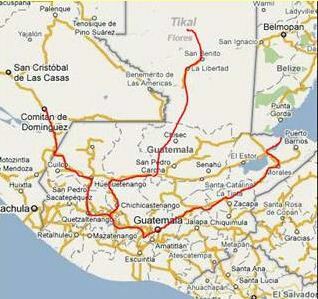 These are the routes we took, what we spent and the hotels in which we stayed. Use this Guide as a template to create your own exciting journeys. Feel free to write us anytime at TheGuide@RetireEarlyLifestyle.com with your comments and questions. Traveling opens the mind, creating wider perspectives and flexibility. 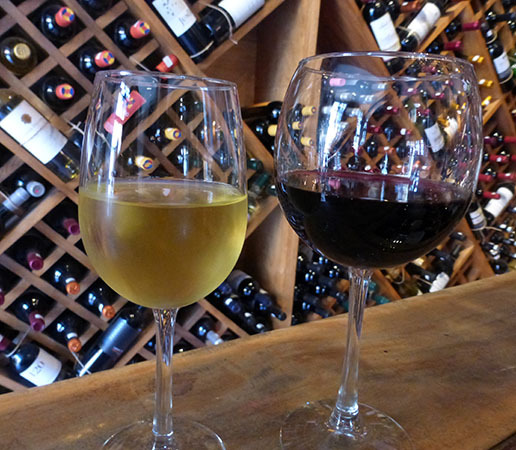 We encourage you to taste as much of the world as you can!